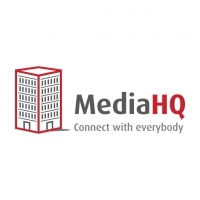 MediaHQ is a Software as a Service (SaaS) business and is the market leader for media intelligence and press release distribution. “The place to find journalists, build media lists and make the news. The Senior Researcher will conceive, design and implement a comprehensive research plan to maintain a cutting-edge media intelligence database for Ireland, the UK and beyond. Designing a comprehensive research plan. Ensuring the plan is delivered. Managing the research team (currently a team of 6 researchers). To develop a MediaHQ research method. To design a 12-month MediaHQ research plan. To design and implement information quality standards in research. To oversee the implementation of an effective and measurable research plan. To work with the Product Manager and software developers to implement a project that will integrate big data in the research project. To design and deliver quality standards for the regular reporting of research. To work under the direction of the CEO/Project Leader. To provide assistance in conducting research activities, including planning, organising, conducting, and communicating research within the overall scope of a research project. To provide guidance as required to any support staff and/or research students assisting with the research project. The closing date is Friday, January 11th at 1pm. Email your CV and a one-page cover letter as a pdf or .doc file to barbara mediahq.com. It should be a single document with no more than three pages. Include your name and Senior Researcher in the subject line. We look forward to hearing from you.